At greatproductshots.com, the name says it all. We specialize in high-end, professional product photography that helps you sell more product. With more than 16 years experience making great images, we take your product photos to the next level. We serve New York (NY) and New Jersey (NJ) and are the area's best product photography studio. We shoot everything from clothing and apparel to cosmetics to computers to consumer electronics - we even photograph jewelry. I am committed to my clients' satisfaction and look forward to serving you. If you have any questions or want to book a shoot, please get in touch via the Contact page of this website or email me at greatproductshots@gmail.com or call me at 973-537-5998. As one of New Jersey's premiere rare book sellers, we needed top quality photos to showcase our products. Greatproductshots.com delivered those photos everytime. Peter Alessandria is not only a top product photographer, he's a consummate professional in every way. Greatproductshots.com was definitely the right choice for product photos for Franklin Books. When I first contacted greatproductshots.com about doing a product shoot, not only were their estimates thorough and reasonable, but the entire process from initial inquiry to final shots was extremely easy. The quality of images, attention to detail and great attitude made for a very positive experience that in turn, made me look good for my client. Thank you! 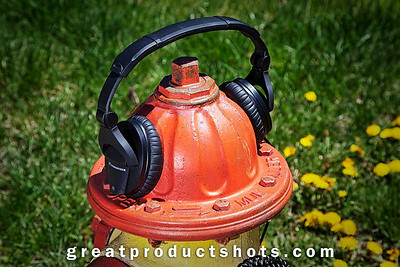 Greatproductshots.com provides amazing, high quality images that help me sell more product. I highly recommend doing business with them. Peter did an excellent job shooting our Mirage Media Server. He understood the art direction without a question, was always pleasant to work with, communicated promptly and clearly, and even provided extra shots that were intuitively just the thing we needed. It's a pleasure to work with Peter because he is extremely professional and great at his work - especially co-ordinating and directing the shoot. Peter is a pleasure to work with and a true professional. Apart from being an impressive photographer, he has great communication skills, a super ability to troubleshoot and a truly fast turnaround time.